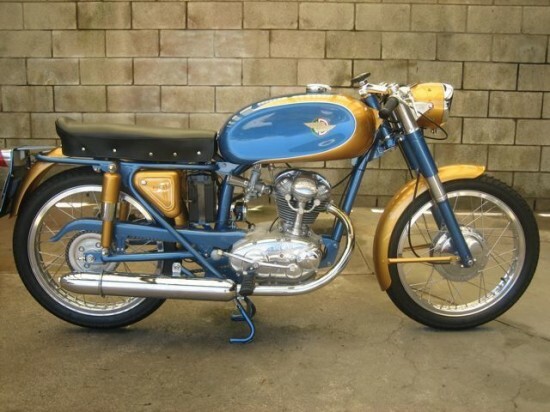 Although most smaller-engined Ducatis of the 1960’s were intended more as transportation than as racing tools and were clearly built to a price, they were still imbued with some of the passion and engineering of their more race-oriented siblings. 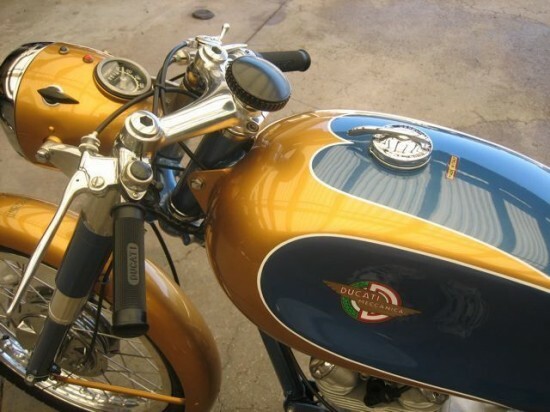 This example is clearly nicer than when it left the factory, but Ducatis of all stripes were designed to appeal to the heart as well as the pocketbook. This is the sort of thing I really love: a vintage bike rebuilt to look period, but with upgrades and improvements implemented during the rebuild, instead of slavish devotion to “from the factory” originality. Everything here is for go as much as show, and the seller does a great job of describing what went into this build. 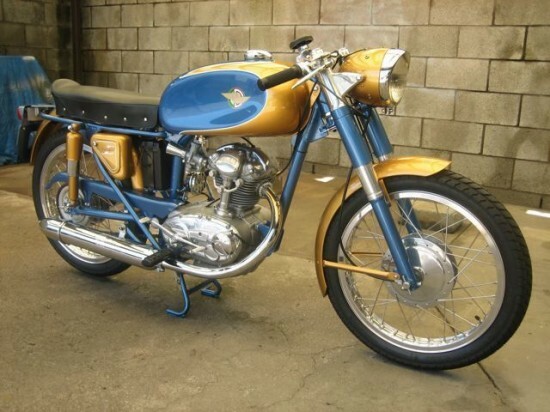 The bike was complete when I got it, but the engine internals were unknown. Everything was taken down to the last nut and bolt, cleaned, inspected, then polished, plated, painted or otherwise finished as required. At this time, I decided to build up the engine to 160cc. 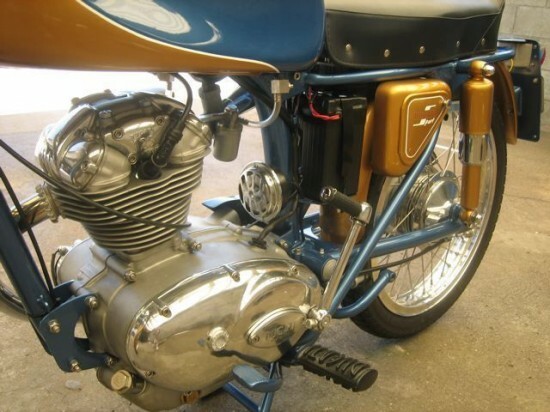 I brand new NOS piston and cylinder were fitted, along with a 160 head. The new head got new valves, guides, seats and retainers, and the ports were massaged, all courtesy of Mike Libby, C.R. Axtell’s partner. The engine was completely disassembled, and every bearing and bushing was replaced. 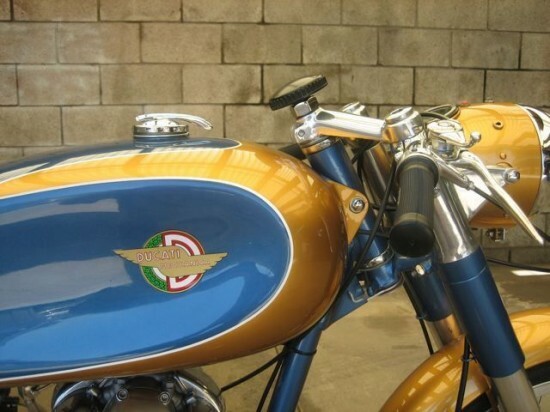 The crankshaft was rebuilt, and everything was expertly assembled and correctly timed and shimmed by Ducati ace Frank Scurria, who worked at, and raced for the ZDS Motors (West Coast counterpart to Berliner) with the legendary A.J. Lewis in the ’60s. The entire clutch was replaced with new, the transmission inspected and properly shimmed. Externally, there are no clues that this is not a 125cc, that is, until you notice the little bike is nipping at the heels of your 175 Elite. Even the casting numbers on the head are the same. Now, for those who are aghast at all these deviations from original, remember, it was built to be ridden with confidence and vigor, day and night. Modern traffic has no tolerance for shiny little traffic obstacles. It’s a shame that small-displacement sportbikes are thing of the past. Perhaps KTM’s 390 will make it to these shores and give us a machine whose quality is not measured in cubic inches… Bidding on this Ducati is active and up to over $13,000 with the reserve not yet met. There’s very little time left on the auction, so move quickly and bid aggressively on this beautiful little machine. It’s common to put 160cc engines in these as it bolts right up. This one is just the cylinder and head for the same effect. But that said, I don’t like it. Makes it ineligible, or a cheater, in 125 events. And even with the 35 extra cc it’s not going to be “fast”. So what do you do, enter it in the 175cc class? Would it even be accepted? All that said, it’s a beautiful bike, one of my favorite Ducatis! Congrats to the new owner. Good points, but I know if it were mine, I’d be loathe to race it!